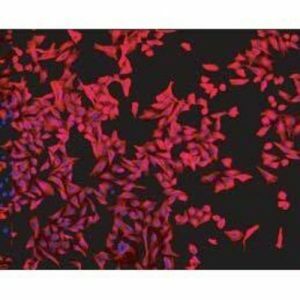 In association with Eurogentec, SA, Web Scientific are now offering HiLyte Fluor™ dyes for the labelling of Peptides and Antibodies. 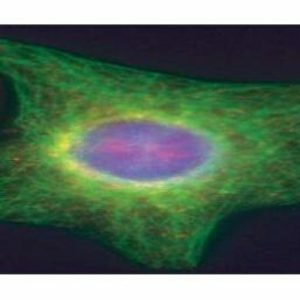 HiLyte Fluor™ dyes are available in a variety of reactive forms. 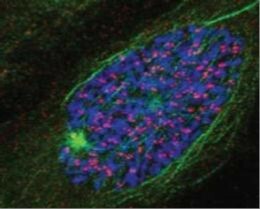 HiLyte Fluor™ conjugates exhibit more intense fluorescence than other spectrally similar conjugates of classic fluorescent dyes such as FITC, TAMRA and ROX under similar excitations. 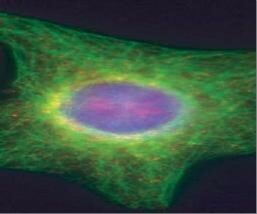 HiLyte Fluor™ dyes are more photostable than the classic fluorescent dyes such as FITC, Cy3™ and Cy5™. 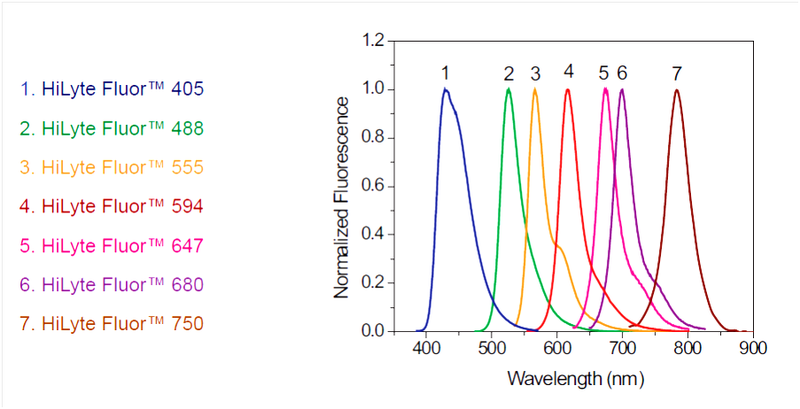 HiLyte Fluor™ dyes have absorption spectra that match the principal output wavelengths of common excitation source such as 488 nm, 555 nm, 633 nm and 647 nm. 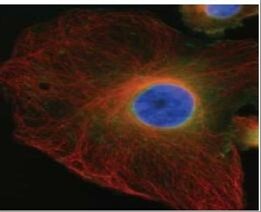 HiLyte Fluor™ dyes and their conjugates are available in several distinct fluorescent colours. 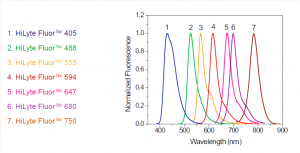 HiLyte Fluor™ dyes are highly fluorescent over a broad pH range with little pH sensitivity.